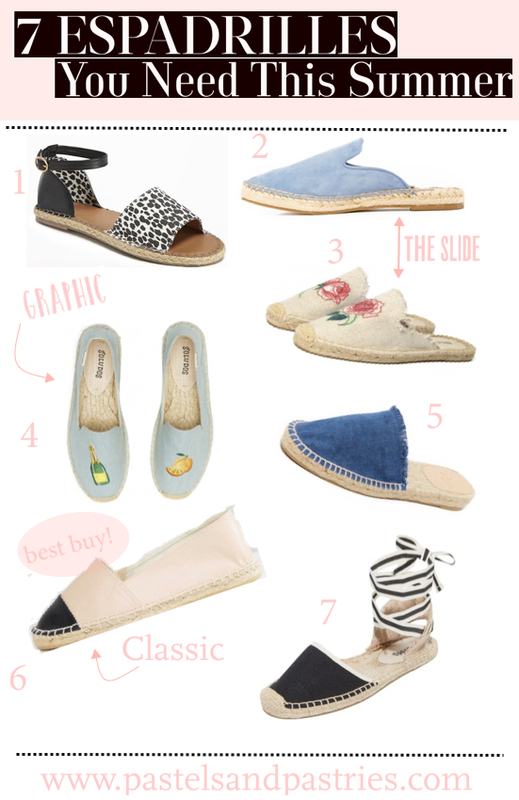 I never thought I would need a pair of espadrilles in my life. I've always loved flat, simple sandals for the beach or fancier ones to dress up with. That was until I came across Soludos. I can't believe I never took note of all their fun, classic and embroidered styles! And how late am I to the espadrilles party! I am seriously lusting over number 3. The floral!! And, be warned now-- number 4 also comes in a watermelon patch, an avocado patch and a flamingo patch! Yup, you're welcome. I've linked a bunch of cute options below starting at just $25! Number 4 in the chambray! 💙 Soooo cute!